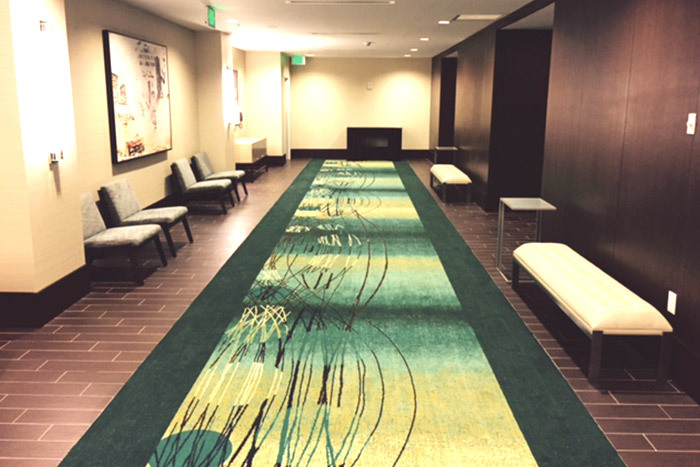 Quality hospitality flooring is crucial in establishing a professional look for a hotel or restaurant. Patrons correlate the quality of your establishment with its visual appeal, and your choice in flooring sets the tone of your aesthetic. Make a good first impression with flooring that balances design and functionality. Choosing the right hospitality flooring is also important for back-of-the-house employees, who need kitchens and workspaces with flooring that reduces the risk of slips and falls. The hospitality world is fast-paced and hustling is key in fulfilling patrons' needs. Make sure your flooring selection can stand up to these tough demands. Welcome your guests with beautiful flooring that showcases the quality of your establishment. Intex Flooring helps you choose commercial flooring that is perfect for your hotel or restaurant. Have a hospitality flooring project you wish to discuss? Reach out to the experts at Intex Flooring for project management, installation, and more on your next hospitality flooring project.